Flea Market: 10 Tips To Shop Like A Pro 5 out of 5 based on 2 ratings. 2 user reviews. 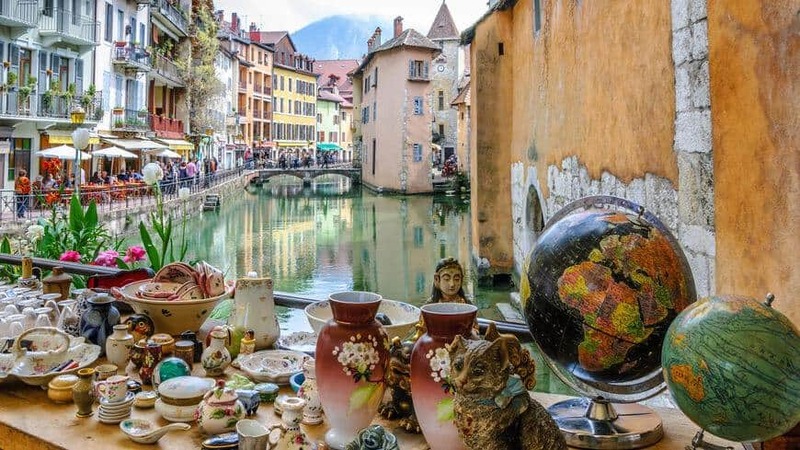 If just like us, you love spending your week-end at the flea market, or tour antique shops and antique fairs while visiting Europe, here are a few advice and tips you may want to read before heading there, so you can make the most out of your day at the flea market! Flea Market tip #1: You can find better prices. Flea-market vendors do, which is why a 50-cent yard-sale knickknack might cost $3 or more at a flea market vintage stall. Grahl’s recent deals include a 1920s quilt from a thrift store that she bought for $20 and guesses would have fetched upwards of $100 at a flea market. Grahl also picks up women’s dress scarves for 50 cents at church rummage sales, rather than pay $15 at flea market stalls. Flea market vendors say their prices are still cheaper than at specialty retailers and online auction sites. “I don’t try to squeeze every dollar out of every item,” says Paul Fischer, a professor of pop culture studies at Middle Tennessee State University who sells vinyl records and memorabilia at the Tennessee State Fairgrounds Flea Market. “It’s still very possible for people to find something at the flea market that’s a real bargain.” Fisher says vendors’ higher prices are fair because they reflect the work it takes to find and clean up items. 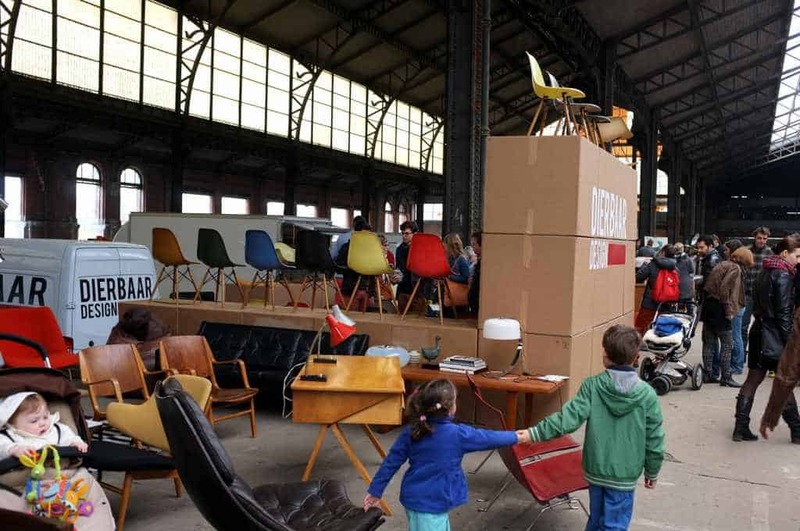 Bargain hunters may find they can get the best of both worlds: Some flea markets lease stalls on a one-time basis as a garage sale alternative for sellers looking to de-clutter. Flea Market tip #2: This isn’t ‘Antiques Roadshow. 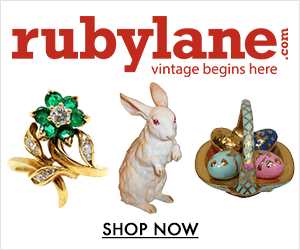 Forget that dream of finding the rare collectible action figure or priceless 19th century end table at the flea market for ten bucks, says former Sotheby’s director Patrick van der Vorst, who appraises roughly 300 items a day on his website ValueMyStuff.com. “You can tell a lot of things are picked up over the weekend at a flea market,” he says. “Unfortunately, most of it really is not that valuable.” What’s more, shoppers aren’t likely to find a real steal in a venue where most vendors are experts in their particular niche, he adds. Still, TV-worthy discoveries can happen, says Helaine Fendelman, president of New York-based appraisal and sales firm Helaine Fendelman & Associates. For example, collectors may find a piece at the flea market that on its own isn’t valuable, but when added to the buyer’s now-completed set, is worth a lot. Stalls can also be so crowded that bargains go undiscovered under tables or behind other items, she says. Most surprise deals are found in unusual categories like Asian art, says van der Vorst where it’s hard to distinguish between a $5 knockoff and a $5,000 original Chinese vase. Finding a treasure that will resell for hundreds of thousands or even millions of dollars, is rare. However this can still happen to anyone. Like these 7 lucky flea market enthusiasts who accidentally discovered the works of great masters at the flea market. Read: 7 amazing garage sales finds purchased for a few bucks, and that later turned out to be worth millions. 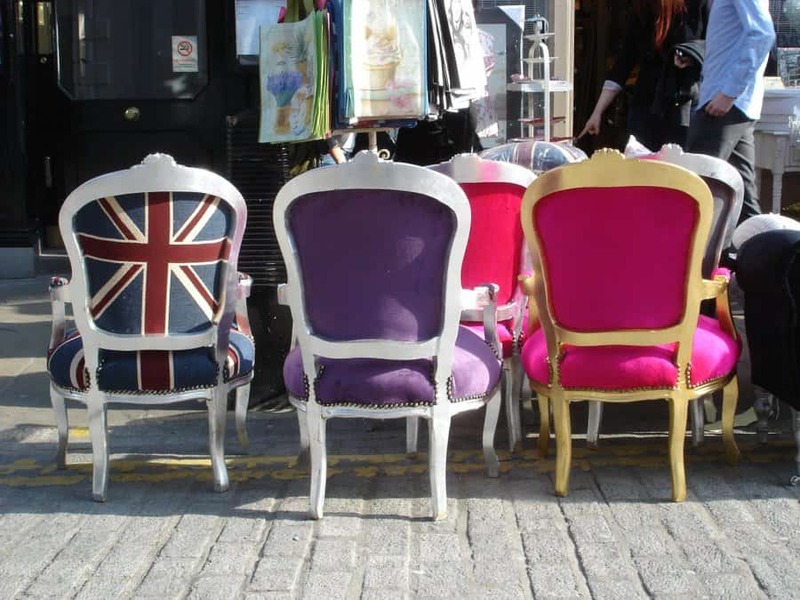 Flea Market tip #3: Forget about one-of-a-kind finds. 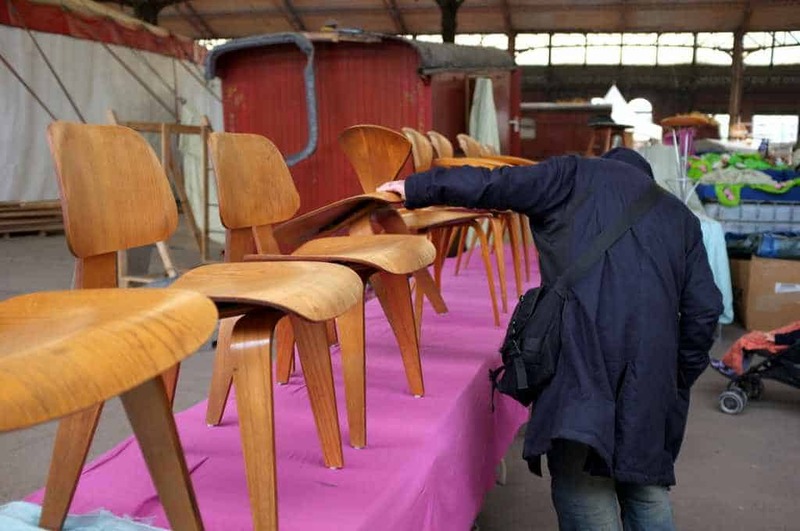 Ok, so you won’t get rich on your flea market find. But most shoppers do expect a bit of originality. Not so anymore, say experts. In the era of mass-market furniture, flea markets are full of mainstream retailer leftovers from a few years ago. “It is bore-me-to-death boring to see vendors with candlesticks from Crate and Barrel,” says Tim Campbell, a designer who shops flea markets all over the world. “For the cash you’re spending, those pieces aren’t likely to retain any value down the line”, he says. Another thing to look out for at the flea market: some mass-produced items may look like vintage finds. Last year, Shabby Chic introduced a line of “flea-market-inspired furnishings” with QVC, including a $42 set of fleur de lys wall hooks and a $170 hand-painted side table. “Always ask the dealer, what do you know about the piece? What can you tell me about it?” Fendelman says. That can help shoppers spot mainstream products for more accurate price comparisons. If you’re looking for more offbeat items, some regions and flea markets are better than others. Campbell likes the Rose Bowl Flea Market in Pasadena, Calif., and any flea market in Knoxville, Tenn. “There’s been a lot of money that moved into those areas,” which makes for a more varied selection, he says. European flea markets tend to have significantly older pieces, which yields more unique items, he adds. There are however quick tips to finding your own diamond in the rough at the flea market. Flea Market tip #4: Good luck getting that home. You may be on your own when it comes to moving large, heavy items like furniture. “But it can be even more complicated to get purchases from flea markets abroad back home”, says Campbell, who often ships from international markets. Travelers need to be aware of any U.S. import restrictions — which prohibit purchases as varied as animal-hide drums from Haiti and gold coins from Iran — and any export restrictions in the country where they’re buying. “Some countries are very adamant about confiscating things,” he says, “especially if the item is an antique or could have cultural significance. Australia prohibits the exportation of some indigenous fine art, for example. Other goods may require permits. To bring wood furniture from South Africa to the U.S., for example, requires a certificate showing it has been fumigated”, Campbell says. Travelers can avoid some potential problems by checking restrictions before they travel. 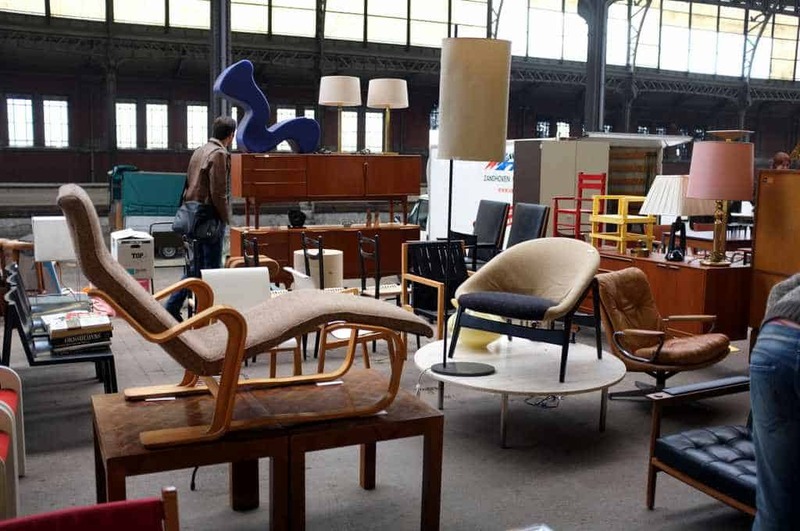 “Shippers can also take care of necessary documentation”, says Toma Haines, chief executive of The Antiques Diva, which arranges tours of European flea markets. Many have offices on-site to handle arrangements, but you can also set up an account in advance of any shopping, she says. That way, the shipper can consolidate all purchases from different vendors and markets into one shipment. 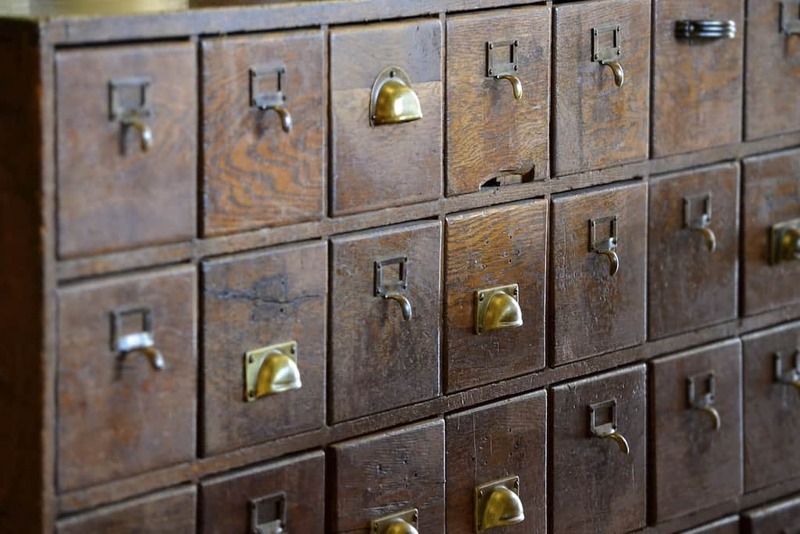 More about flea market shipping in our article How to get my flea market finds, home? Flea Market tip #5: We’re old-fashioned and so are our prices. It used to be, the older the piece, the higher its price. But as the flea-market crowd shifts to younger consumers, tastes are moving more toward clean-lined furniture, funky appliances and vintage fashions from the 50s, 60s and 70s, says experts. Prices in those categories are naturally appreciating. “The young generation is not really buying antique furniture and sterling silver,” says van der Vorst. The lack of buyers and ample supply from de-cluttering boomers has caused a drop in value of old-fashioned items by as much as 50%. Vendors, however, haven’t necessarily lowered prices to match this drop. “Some sellers clearly didn’t get the memo,” says Fendelman. “Shoppers should arrive at flea markets armed with general market prices for the items from the periods they’re interested in”, Fendelman says. If you have a smartphone, search eBay and the web for prices on comparable items once you find something specific you like. “If the item seems over-priced, consider that extra room to negotiate”, she says. Flea Market tip #6: Haggling doesn’t always work. Flea markets and haggling aren’t as synonymous as bargain-hunters might expect. “Pricing is very subjective, and it’s extremely regional,” says Campbell. “In some flea markets, it is absolutely assumed that you will haggle on the price.” But it’s far from a given, say experts. More unusual items and those with established provenance tend to have firmer prices. “Vendors that sell items they made themselves also tend to have less wiggle room”, says Sally Schwartz, founder of the Randolph Street Market in Chicago. The big reason shoppers are unlikely to lower prices, however, is because they’re going about haggling the wrong way. “People often alienate vendors by making an insultingly low offer or by announcing they’ll pay $X rather than asking if that’s a workable price”, says Grahl. “Unless you have some basis to believe something is substantially less valuable than the asking price, a fair offer might be $5 to $10 less on say, a $50 item”, says Cathy Lerebours, owner of Lerebours Antiques in New York City. “Expect the seller will meet you halfway,” she says. Flea Market tip #7: We may sell unsafe products. Flea market shoppers often encounter items that shouldn’t be for sale. 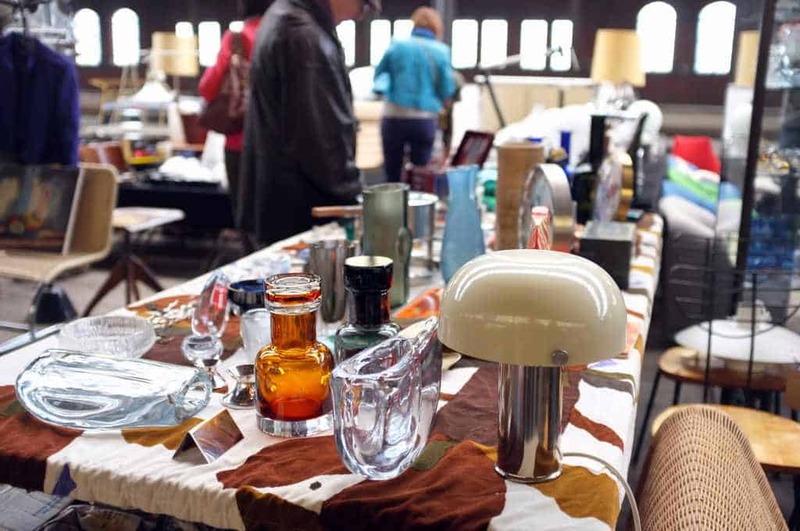 This spring, for example, the U.S. Consumer Product Safety Commission warned that discounters at flea markets and other venues were reselling some recently recalled products. Among them: vacuums that posed a shock and fire hazard, baby slings deemed a suffocation hazard and toy aquariums with parts that could be a choking hazard. “It’s illegal to resell a recalled product,” says CPSC spokeswoman Patty Davis. “But often the seller doesn’t know there’s been a recall”, she adds. “Other secondhand items like cribs, children’s car seats and sports helmets are unlikely to meet the latest federal safety standards and should be purchased new”, Davis says. Flea market organizers say sellers are warned of potential federal fines for selling a recalled item and violators may be banned. “We want our customers to feel safe,” says Schwartz. But the onus is on the consumer to ensure a product is safe. Davis suggests using the free Recalls.gov app to check an item’s status. It’s worth asking the seller about safety concerns, too. Tammy Kerr, the founder of seasonal consignment sale Play On Sports Gear in Chicago, says she makes sure buyers know which pre-owned bats meet new Little League safety requirements aimed at reducing player injuries, and which should be for adult games only. Flea Market tip #8: Fab? More like faux. Buying brand-new items at flea markets doesn’t guarantee quality either. Fakes abound, despite many markets claiming zero-tolerance policies for such behavior. “Some are the usual suspects: faux designer handbags and pirated DVDs”, says Tara Steketee, the senior manager for brand protection at OpSec Security, an anti-counterfeiting consulting firm. 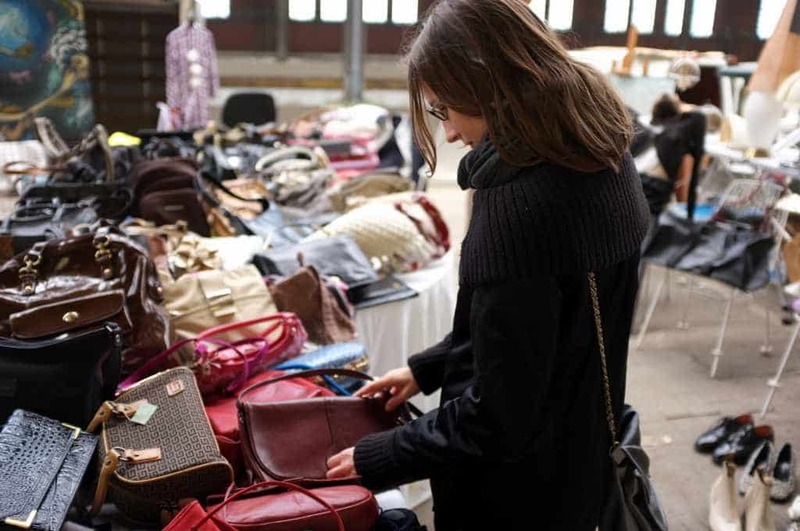 “But flea markets are often also venues for less-expected — yet more dangerous — counterfeits like perfume, makeup, kids’ toys and batteries”, she says. Fake batteries may explode, while cosmetics may be laced with lead or toxic chemicals. Regulators are starting to crack down. In late April, U.S. Immigration and Customs Enforcement confiscated nearly $900,000 worth of allegedly counterfeit DVDs, CDs, handbags, sneakers and other merchandise from sellers at Fox Plaza flea market in El Paso, Texas. Days later, after a similar raid at Baltimore’s Patapsco Flea Market, federal agents arrested five men for allegedly selling counterfeit purses, shoes, watches and other goods. Luxury brands including Coach and Louis Vuitton have also filed lawsuits against flea market owners and landlords alleging they turn a blind eye to knockoffs. “Even with the uptick in enforcement, shoppers are probably best off buying brand-name goods from more reputable retailers”, Steketee says. “The possibility that a well-known brand will be authentic at a flea market is highly unlikely,” she says. 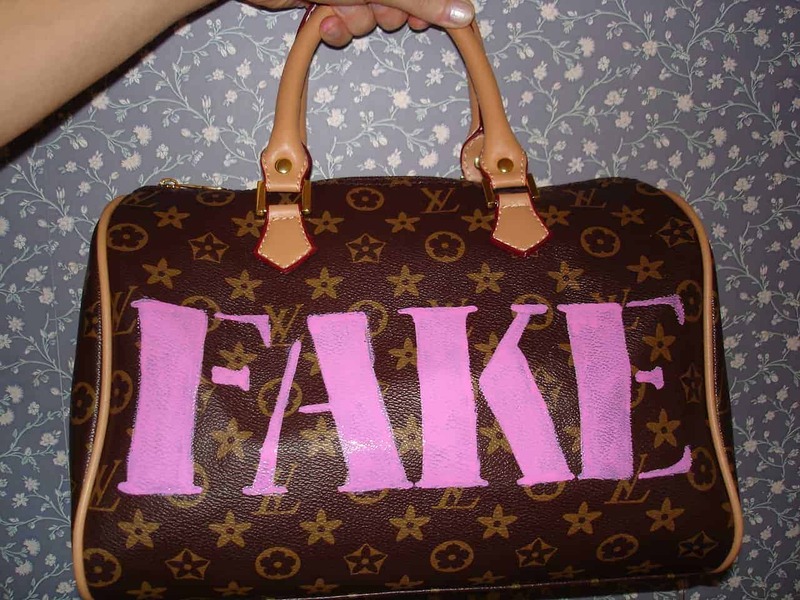 There are however a few simple hints & obvious indicators that can help spot a real designer bag from a fake. Flea Market tip #9: You may have nothing to show for your money. Flea market visitors may come home with empty wallets — and empty shopping bags. That’s because flea markets have become as much an entertainment destination as a shopping stop. Many now tout drive-in movie theaters, carnival rides, concerts and other attractions. “Operators use [attractions] to increase foot traffic and set themselves apart from the competition,” says John Gerner, the managing director of Leisure Business Advisors, a consulting firm. They also rake in more bucks from admission fees, food and drinks. 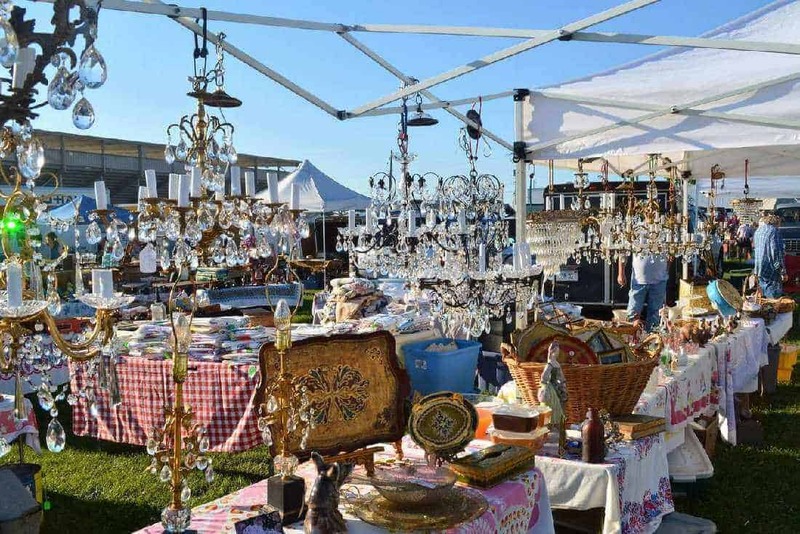 “At Denver’s Mile High Flea Market (ed: one of the 11 best flea markets in Colorado) for example, a third of the revenue comes from restaurants and carnival rides”, says chief executive Rob Sieban. 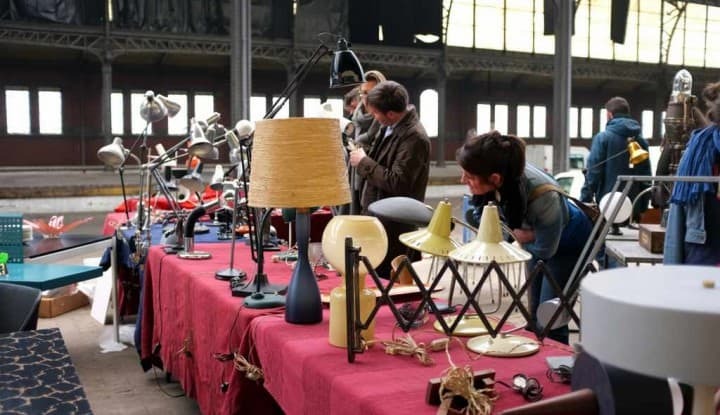 Flea Market tip #10: Early bird? You’re still too late for the best deals. Latecomers can still find some bargains, say experts. Some vendors replace purchased items with other stock from their vehicles throughout the day, says Fendelman. In the afternoon, Grahl says, sellers may be more willing to haggle to avoid packing up unsold items. “That’s the time when they’ll say, oh, give me $2 for that,” she says. Very nice article. #1 I found very interesting and although I agree to an extent, a closer look and a deeper explanation, I believe, is needed. On Philadelphia Flea Market News, I discern between “seller’s” and ‘buyer’s” flea markets. For the most part, seller’s markets are better for professional and semi-professional vendors to, of course, sell at so when I am shopping for resalable merchandise, I avoid this type of market altogether. Instead, I scour the sidewalk, yard, and garage sales but also add to my itinerary buyer’s flea markets. These are lower-end, or normally smaller flea markets (like church or school fundraisers) that are just like the sales I mention above in that they are normally swarming with vendors who do not know (or care) what their stuff is worth. They are just there to either get rid of their “junk” from their homes and/or have a good time supporting whatever organization running the flea market. 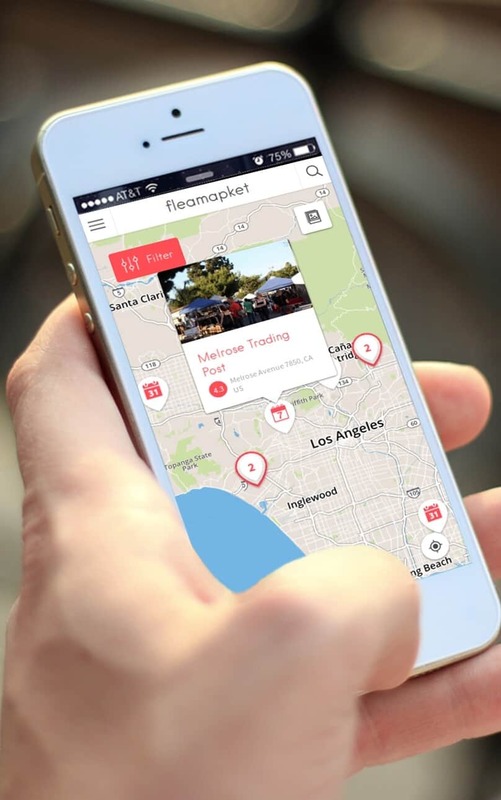 There are other types of buyer’s flea markets that because of the neighborhoods they are near attract clienteles that are looking for more practical and household items. 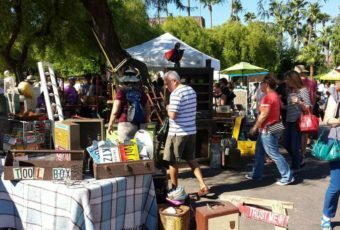 When vendors at these flea markets have a vintage or antique or rarer item, they normally sell it very cheap since their regular customers have no interest in it. Shopping at these types of buyer’s flea markets is more work as the merchandise is much more mixed and there is a lot more junk but, for the collector, professional vendor, and Internet reseller, they are often worth the extra effort. Last year, at a weekly, year-round buyer’s market in Philadelphia, I bought about 12 books for 20 or 25 dollars and sold four of them online for $27, $44, $65, and $225. The rest I sold at various flea markets for $3 to $10. Great tip! I’d recommend any person who usually scores flea markets for antique or rare items, to follow these few rules. By making a discern between “seller’s” and ‘buyer’s” flea markets, the probability of going back home with a great find is multiplied by 10; for instance, church flea markets are great because vendors usually want to get rid of the stuff they sell (not even theirs, most of the time) and don’t argue much on price: everything has to be gone within a day or two. For instance I found two Rolleiflex cameras from 1955 for 60€ (they usually retail on eBay for 500€-700€). And if you’re clever enough, try and show up a day before the official start of the yard/church sale when professional vendor scour the place for valuable items; that’s when you’ll find the best items on sale that will be gone anyway by the next day. Once again, great tips!